AI is set to become a multi-billion dollar industry over the next decade as it establishes itself as a common sight in businesses across the world. A new KPMG report estimates that investment in AI, along with machine learning and robotic process automation (RPA) technology, is set to reach $232bn by 2025. This is a significant increase from the $12.4bn spent today as more and more organisations adopt AI in their business. The report was accompanied by a survey that looked to gather expectations among business leaders about the effect AI could have on their business. 32 per cent added that they would be upping investment in RPA by 20 per cent or more. 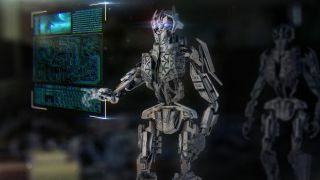 However many businesses revealed they were unsure about the impact of AI and didn't feel prepared for how it would affect employees, with recent press coverage concerning how AI could cost millions of jobs a major influence. "Many traditional businesses with legacy approaches risk falling behind digital-first companies if they stay with the status quo," said Cliff Justice, KPMG partner, innovation & enterprise solutions. "It takes a comprehensive transformation of business and operating models to compete in their own market at the level at which a Tesla or Amazon do in theirs." "A lot of change has to happen that’s really uncomfortable and sometimes political, and most companies are not prepared for that."